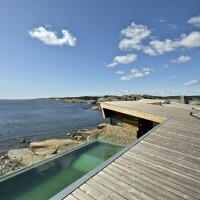 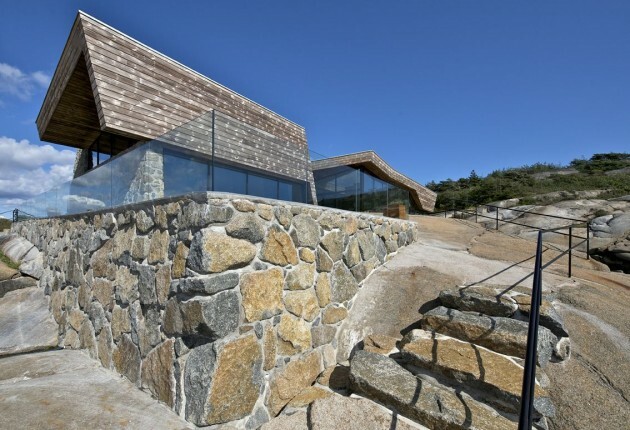 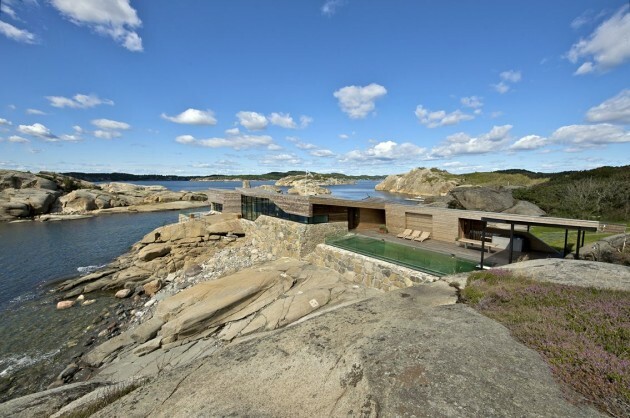 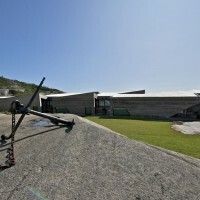 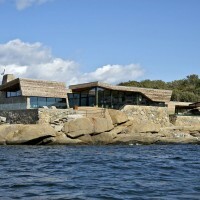 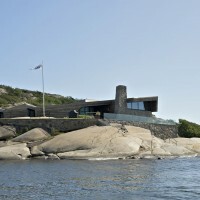 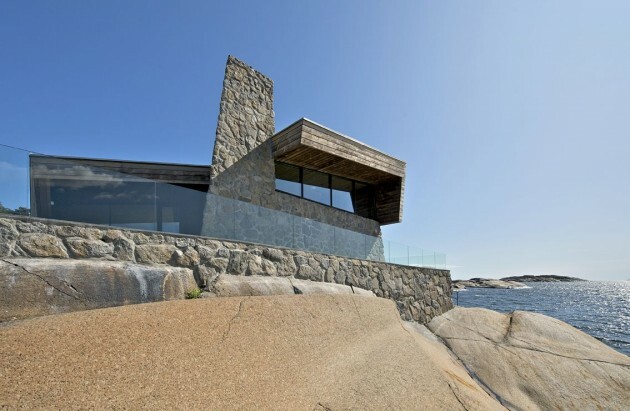 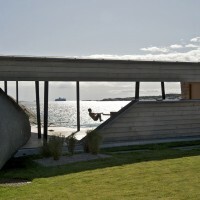 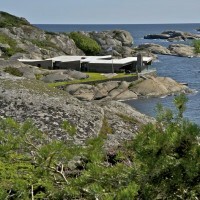 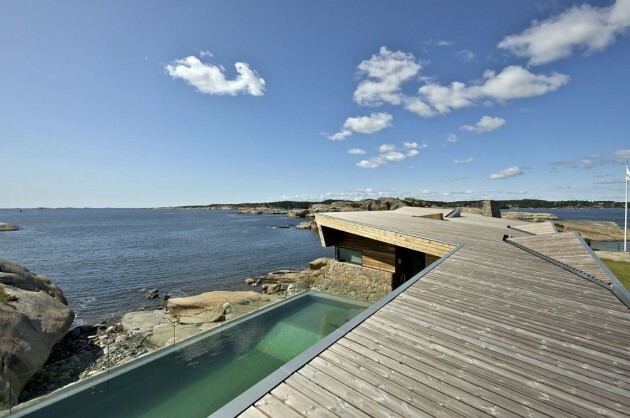 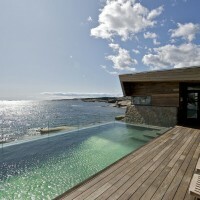 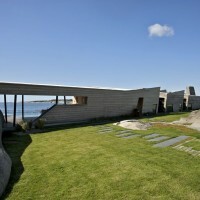 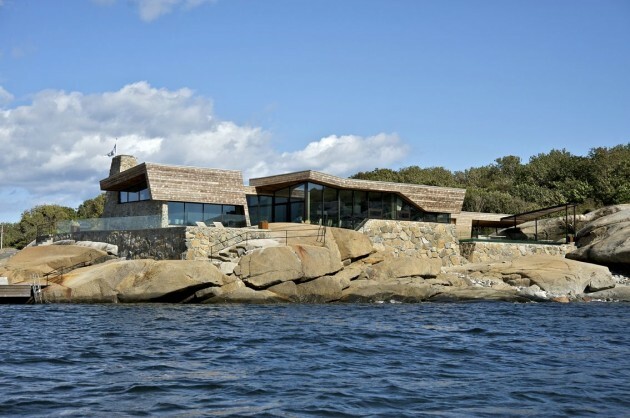 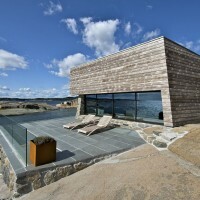 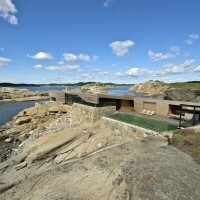 Jarmund/Vigsnæs AS Architects designed a summer house in Vestfold, Norway. 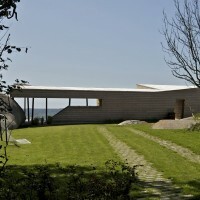 The house replaces an older building at the site. 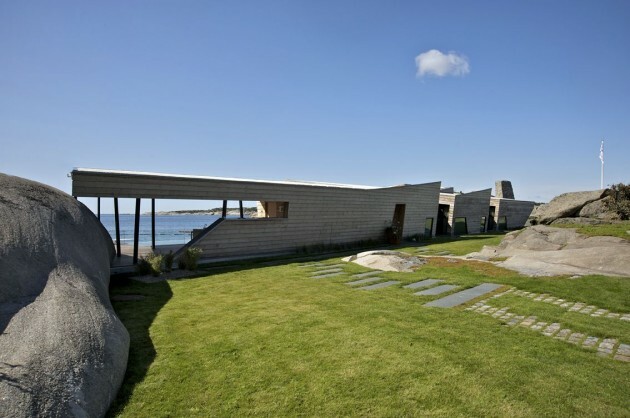 To get the planning permit, the project had to be well adjusted to the terrain, both in terms of shape, scale, material and color. 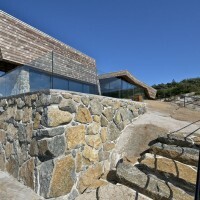 The house and terraces are partly built upon existing stone walls, the parts of the walls which are new are made of stones from the blasting at the site. 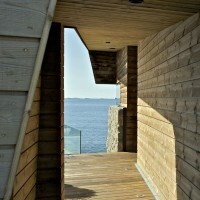 The low elongated volume is cut into to allow for wind shielded outdoor areas, embraced by the house itself. 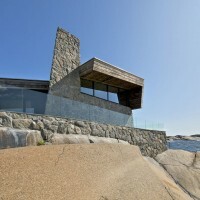 These cuts also bring down the scale of the building, and together with the local variations of the section, make the building relate to the surrounding cliff formations. 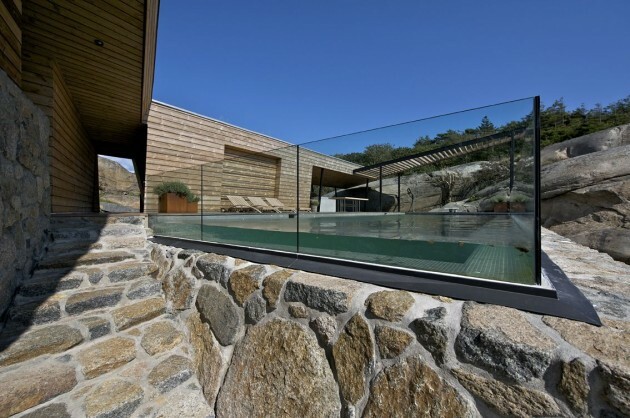 On the outer perimeter of terraces and pool, a glass fence also protects against wind, but allows for maximum view. 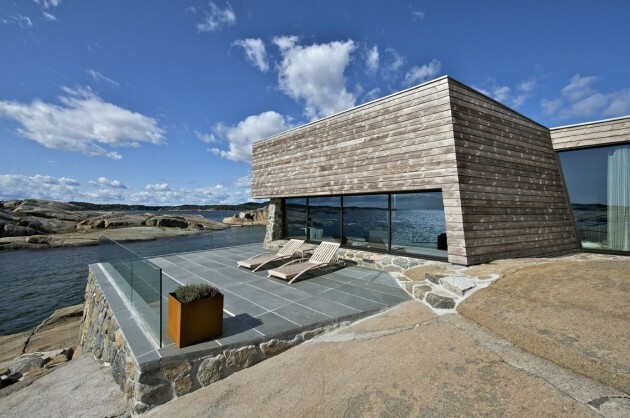 The house is clad with Kebony wood, a sustainable process of treating the wood to allow for good durability towards the exposure to salt water.